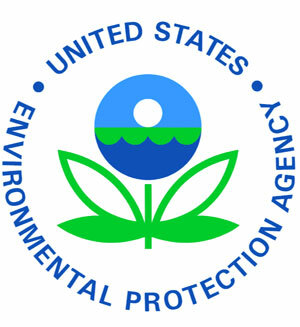 The agenda has been set for next week’s public meeting in Craig with the Environmental Protection Agency. The EPA’s Regional Administrator, Shawn McGrath agreed to hold a public meeting in Craig, over the new carbon emissions rules levied against coal fired power plants. During hearings on the rules in Denver, Moffat County Commissioner John Kinkaid was able to convince McGrath to visit the county, to meet the people that would be directly affected by the rules. Craig City Councilman Ray Beck will give the opening comments at the meeting, followed by several speakers from various interests, including the coal industry, school districts, mines, and college representatives. A representative from Congressman Scott Tipton’s office will also address the crowd. Kinkaid will make the closing remarks, and then the moderator will call a handful of the speakers, including McGrath, back to the stage to answer audience questions. The meeting will be held September 10th from 6:30 to 8:30 in the Moffat County High School Auditorium. You can view the full agenda below. September 10, 2014 – Doors open at 6:00 p.m.
Rick Johnson, Plant Manager, Craig Station, Tri-State Generation & Transmission Assn. Moderator will then ask Shawn McGrath, Mark Ourada, Caryn Gibson, Mom’s Know Best Representative, and John Kinkaid to the stage to answer potential questions from the audience. Questions and comments from the audience – 2 microphones will be in place. Moderator will go back and forth from each microphone. (no sign up sheets). This entry was posted in News and tagged Agenda, carbon emissions rules, coal fired power plants, coal industry, college representatives, Congressman Scott Tipton, Craig, Craig City Councilman Ray Beck, Denver, Environmental Protection Agency, mines, Moffat County Commissioner John Kinkaid, Moffat County High School Auditorium, public meeting, Regional Administrator, school districts, Shawn McGrath. Bookmark the permalink.